The DAO holster employs a retention strap for simplicity and security in the brush. Its retention strap has a large polymer tab, while the tension screw adjustments allow for a custom fit to your revolver. 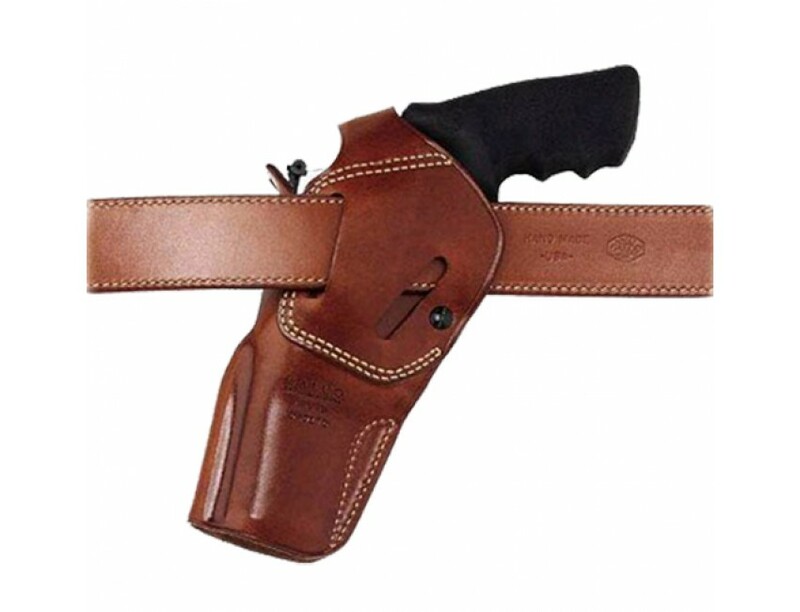 The DAO can be worn strong side or crossdraw and is constructed of steerhide and fits belts up to 1.75" wide.This model has a tan finish and is compatible with S&W X-Frame 500 4".